Of course, not even the best maintenance can prevent all air conditioning repair circumstances. So, you will need the services of an air conditioning contractor that can arrive on the scene quickly, evaluate the breakdown, and execute quick repairs if possible. In addition, the technician will also examine the air conditioner to see if any additional parts need to be replaced or if the vents or fan needs to be cleaned. By addressing the situation fully, the air conditioning repair can be completed and future breakdowns may be prevented. The repair comes with a warranty. If the same issue returns within the time-frame, it will be handled at no extra charge. Of course, the best air conditioning service in the Santa Barbara area is fully licensed to comply with local and state laws, rules, and regulations. Plus, they are also insured so that if they cause an accident on your property. They insurance provider will cover it. They will also have an exceptional reputation with their customers and can handle all types of installation, maintenance, and repair situations. In addition, they can conduct inspections for their commercial air conditioning customers so they will comply with local standards. You can find the best air conditioning contractor at A+ Refrigeration Heating & Air Conditioning. We provide the best in residential and commercial air conditioning repair. Call the professionals at A+ Refrigeration Heating & Air Conditioning today for all your air conditioning service needs. 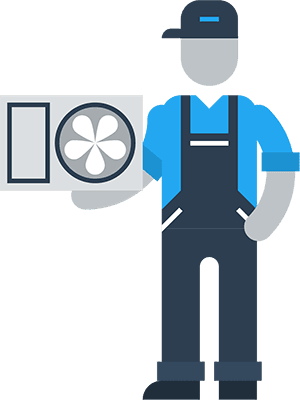 You will want to use a service that provides a high efficiency air conditioner backed by a warranty. Plus, you will want to shop around to find the most reasonable cost. Your air conditioning installation should be a high-quality job performed at a low, competitive price. If you live in the Santa Barbara area, having access to the best air conditioning service. We provides you with the best in installation, maintenance, and repair. 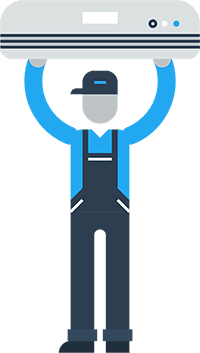 It pays to find the right air conditioning contractor before you have issues that need to be addressed. This means that they should provide the following services for your needs. Present life is impossible without the air conditioning. And if you’re experiencing troubles with your current system, call the skillful specialists at A+ Refrigeration, Heating & Air Conditioning in Santa Barbara, CA. Do not risk with your home or business air and conditioning system, and ask A+ Refrigeration, Heating & Air Conditioning for the right service. To receive more information, schedule appointment or get estimates, call us now.